For some reason, which clearly escapes me, everyone on this website absolutely, positively hates my books. With a passion. With more than a passion. With big arms and a scowl. Having sold eight million copies of ‘Running Away: The Me Within Me (Not You)’, I was expecting a certain level of praise and a huge dollop of respect for having conquered the literary world and the New York Bestsellers List for approximately seventeen weeks. What met me, however, was the kind of despair and ridicule best reserved for X Factor contestants who couldn’t get through Boot Camp. I don’t understand. My book received several 5 star reviews and a glowing report from both Richard and Judy and also, Chris’ favourite, Su Pollard. So where does the venom lie? Is everyone jealous of my success, my fame, my bingo trophy? I can only hope that my new book ‘Two Pumps and a Squirt – The Kevin Hill Story’ will seek to rectify the problems everyone has with my expressive and hugely successful way of writing. I don’t know why you feel the need to live in this fantasy world where you pretend to be a successful author. Out here in the real world, you already have a tremendously successful music career as a member of the most successful pop band in history, the Papples. … who are you talking to, Chris? There’s no name on that letter. I don’t want to talk about your books so I’m just going to tell you it’s Penguin Awareness Day. I don’t know man, this seems awfully suspicious as though you’re using my post to post pictures of penguins. It is a bit like that, isn’t it? But then, in a recent survey, 100% of people surveyed said they preferred pictures of penguins to Ian’s books. No, nothing like that at all. Don’t know why you’d even suggest that. 100% of people not surveyed also prefer pictures of penguins to Ian’s books. I would like to see the written evidence to confirm these notably outrageous claims! 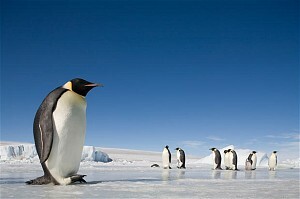 Ian, do you prefer pictures of penguins to your terrible novels? … writing or reading them? I’d go as far as to say that both seeing pictures of penguins AND not seeing pictures of penguins are both preferable to Ian’s books. So… so what you’re saying is that when you’re not looking at pictures of penguins you’re locking up your safe which is chocked full of signed first editions of my books? Reading them. Though I’m still not convinced one has actually ever been written. How do you know they’re bad then? Ian, I think there’s a hint you’re not taking here. Hints don’t work on Ian. Nor does directly telling him things, come to think of it. I find the best way of getting messages through to him is to write them on food and leave it near him. He doesn’t read them, food doesn’t last that long around Ian, but I think he must absorb it internally through his gut somehow. I once absorbed a whole meal just by staring at it. True story, and one which can be read in my soon-to-be-released bestselling autobiography… well, you already know because it was in the previous post.